Hook the sunshade on to the anchors. 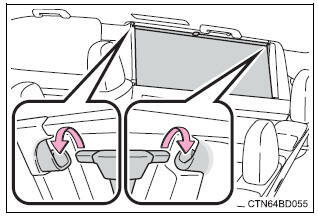 To lower the sunshade, pull the tab up slightly to unhook the shade from the anchors, and lower it slowly. 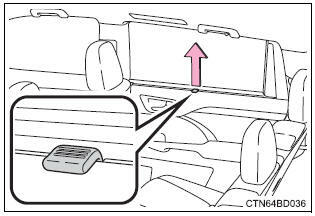 To ensure normal operation of the rear sunshades, observe the following precautions. Do not place anything where it may hinder the opening/closing of a sunshade. Do not place anything on the rear sunshades.